Tecomate Seed Company began marketing premium wildlife seed products in 1983 after extensive research in deer nutrition and management. The company is the recognized leader in wildlife seed products and markets its products throughout the U.S. Through many years of field-testing and research, Tecomate Seed Company has perfected the Tecomate Food Plot System for wildlife to become the undisputed leader in food plot technology. 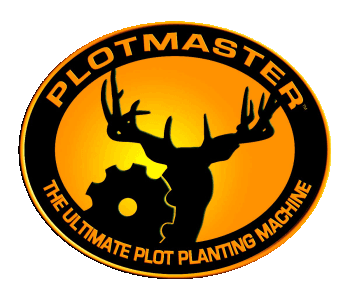 The Plotmaster™, by Plotmaster Systems, Ltd., is the “ultimate plot planting machine”, it is an exciting new “all-in-one” plot planting implement that has the ability to…. harrow, plow, cultivate, cultipack, drag, and works with an electric lift system as well as an electric seeder. The popular 3-ft and 4-ft. Plotmaster™’s, are designed to work with ATVs! That’s right ATVs! There is also a 6-ft. model available (3 point hitch only) for 40 HP and larger tractors. This amazing piece of equipment has revolutionized the way wildlife plots are planted. Not only did the newly formed Tecomate Wildlife Systems provide its customers with top-quality wildlife seeds and equipment to achieve their management goals, it also offers a complete library of information through its many brochures, manuals, guides, books, videos, and other informational material to ensure that its customers understand when, where, and how to use its products. Why does the Tecomate Food Plot System work so well? It’s simple! By planting the right seed with the right equipment in the right way, you can produce high-quality, productive plots that will grow more and bigger deer and attract and hold more wild game on your property. At the same time, these food plots help to relieve the pressure on your native habitat, which benefits all of the wildlife species on your property. “Using the Tecomate Food Plot System, you can dramatically improve both the quantity and quality of the game on your property, whether its 50 or 5,000 acres. We at Tecomate Wildlife Systems know this because we have been doing it on our own properties for years and have been producing record-class bucks on an unprecedented scale. And, best yet, we have helped thousands of our customers throughout the country realize their deer hunting dreams by producing these same amazing results on their properties,” stated Morris. Tecomate Wildlife Systems, LTD. has recently branched off into separate companies, In order to give our full time and attention to what we realized was the ultimate extension of the unique knowledge and experience we had gained over the years – the real estate and consulting business – we made a couple of major business moves to assure the continued success of our seed and Plotmaster business. One, we sold Tecomate Seed, or at least most of it, to the best folks in the country to handle it – our seed supply partners, Barenbrug. Two, we placed the Plotmaster and equipment business in a separate company, Plotmaster Systems, LLC, and placed it under the management of Plotmaster founder, Blaine Burley. This freed up Tecomate to concentrate on its new “core” business – real estate and consulting, where we feel we can best use our knowledge and experience to benefit our customers and help many of them realize their dreams of owning and managing their own land.